Why is Kashmir called the Switzerland of India? Kashmir, the northernmost city in India, is denoted as the Switzerland of India owing to its mind-blowing scenic beauty. In 1339, Shah Mir inaugurated Shah Mir dynasty and became the first Muslim ruler of Kashmir. The region was a part of the Mughal Empire from 1586 to 1751 and then the part of Afghan Durrani Empire, until 1820. Earlier, before Shaivism arose, Kashmir became a leading centre of Hinduism and then a centre later of Buddhism. Gulab Singh became the new ruler of Kashmir after the Sikh defeat in the First Anglo-Sikh War in 1946; His rule lasted until the partition of India in 1947. It has now been a great part of Indian Tourism. 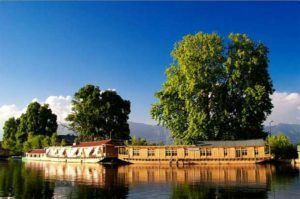 What are the famous things to see in Kashmir? Mainly occupied by Muslims, Kashmir has emerged as one of the most preferred family and honeymoon destination in North India. It attracts thousands of travel lovers, especially the lovers of snowy mountains. Do you know the state of Jammu and Kashmir has no specific capital? It has Jammu as the capital of Jammu, Srinagar as the capital of Kashmir, and Leh as the capital of Ladakh. Aru Valley, surrounded by snowy mountains of Himalaya Range, is known for its beauty and had been portrayed in many Bollywood films. It is one of the starting points of Amarnath Yatra. This holy place has a famous market which offers an exclusive range of carpets and handmade sweaters. You must have seen on the boat saying rooms in Hindi movies. Srinagar hosts more than 500 houseboats are here that do not make any movement. It will be found on the top 10 places as per India tourism statistics 2018. You are not supposed to miss the experience of visiting Dal Lake if you are visiting this part of India. Sonmarg, which is snow-covered place, hosts the starting point of the world’s most dangerous road, Zozila Pass. If you are visiting Srinagar, you must rent a cab and invest 200 minutes visiting this place. We suggest you keep your seatbelts on while driving on the bouncy route. Chill snow will enrich your trip when you are closer to Sonmarg – the place positioned on the Srinagar-Leh highway.